Ayurvedic practices for fall/winter health in mind, body, and spirit. Get vata-balancing lifestyle tips, nutrition guidelines, and therapies for the five senses! 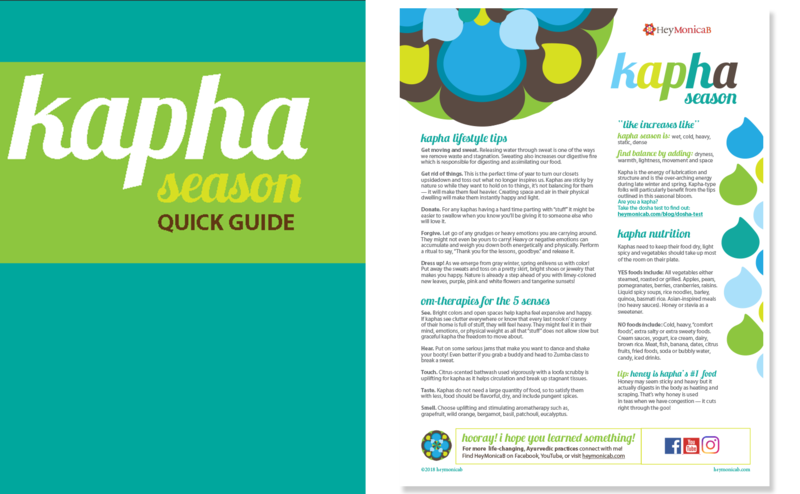 Get Ayurvedic diet & lifestyle tips for spring in this kapha season quick guide!